Author Irene Drummond believes that the issues affecting the environment are recognized by every person for many years now and there is no other way but for the people to get involved in becoming part of the change. 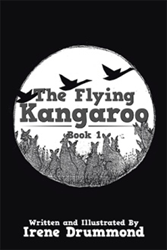 In “The Flying Kangaroo: Book 1” (published by Xlibris AU), Drummond gives a touch of magic and a little humour to a serious concern of taking good care of the environment. The book follows a young joey kangaroo born with wings. The kangaroo engenders a mystique among members of his community by learning how to fly; thus, enabling him to save his beloved valley from destruction. Drummond shares that the characters of the book are based on the personalities of real people whom are very special in his life. She adds that her magical grandchildren became a great source of inspiration in writing the book, as well as her experiences living in the beautiful shores of Lake Boga. By reading the book, Drummond hopes that readers will experience an inspirational journey through pure magic that only a fictitious story can evoke. “The book shows when we all pull together, as we do, under extreme circumstances, how miracles can be performed from exercising of the real qualities of caring, through the need to help others under duress,” the author concludes. Irene Drummond has been writing since 1982. Her inspiration comes from viewing the magic that is displayed through the never ending mystical qualities of a child's mind while at play. Her grandchildren have grown up during this time and have read their own biographies through the telling of their adventures that she has written down in children’s stories. She is an author that has had the privilege to have spent many hours in the company of her grandchildren and they are the reason for her writing.